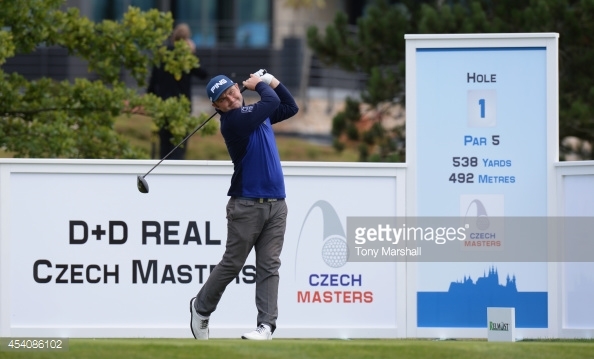 This week the European Tour is in Czech Republic for the second edition of the Czech Masters. Last year’s event proved to be a success as European Ryder Cup player, Jamie Donaldson beat Bradley Dredge by two shots to claim the title. The Welshman is unfortunately unable to defend his title as he’s out injured, but despite this, the field is relatively strong for a small event. Frenchman, Victory Dubuisson heads the betting and is closely followed by Eddie Pepperell in the betting. As it did last year, the Albatross Golf Resort hosts the Czech Masters and I’m pleased with that, because it’s a venue that suits some players more than others which is advantageous from a betting perspective. The course is a par 72 that will play a lengthy 7,466 yards, therefore driving distance is certainly beneficial. There are four par 5’s and all offer great birdie opportunities, for this reason, those that are good on par 5’s will inevitably have an increased chance this week. It should also be noted that there are four par 3’s and all of them player longer than 195 yards, therefore I’d expect the players who rank well in the greens in regulation statistic to travel well around this venue as they did last year. Victor Dubuisson – Victor Dubuisson has produced some very good performances in recent months and appears to be rediscovering the form that saw him play so well in the Ryder Cup. He recorded three consecutive top 20 finishes towards the end of June and the start of July. In the Frenchman’s most recent outing, he finished in 18th position and this was in the PGA Championship in a world class field. Dubuisson knows how to win and is generally very good from tee to green, therefore I believe he’s an excellent bet this week. Eddie Pepperell – I’m a big fan of Eddie Pepperell, he’s one of the best players playing regularly on the European Tour and a victory is imminent in my opinion. He recorded six top 10’s throughout the 2014 season and he’s finished inside the top 5 on three occasions this year, this includes a 2nd place finish in the Irish Open. The Englishman finished 5th around this venue last season, this indicating it is a golf course he likes. Not many people have noticed this, but Pepperell produces his best golf around tricky venues when the winning score isn’t particularly low. David Lipsky – Around this time last year, David Lipsky produced some excellent golf and he appears to be doing the same this year. Admittedly the American struggled at the start of the year, but he’s improved in recent weeks, he finished 16th in the Omega European Masters a couple of weeks ago and played brilliantly in last week’s Made In Denmark tournament. These results suggest that Lipsky is back playing the golf that saw him claim his maiden European Tour title last year.